It's a weekend jam-packed with new releases, including Michael Moore's latest documentary, several creepy tales ahead of Halloween season and a mind-bogglingly misguided romantic drama. 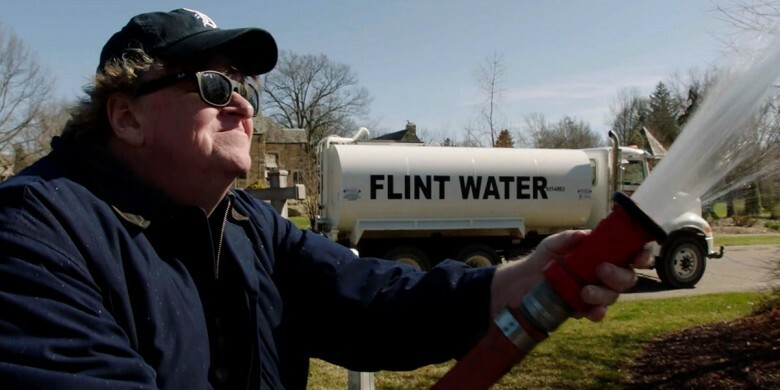 In Fahrenheit 11/9 (pictured), Michael Moore offers a surprising balance of hope and misery from the Trump Era. The story of Lizzie Borden becomes a plodding would-be swipe at the patriarchy in Lizzie. The supernatural horror film Lore can't find a compelling narrative to match its ominous atmosphere. Pure style goes a long way in the wild, violent, kinda incoherent heist thriller Let the Corpses Tan. The end of the world gets a few unique kicks in the character study of I Think We're Alone Now. MaryAnn Johanson praises the perfect mix of humor and training-wheels scares in The House With a Clock in Its Walls. A Happening of Monumental Proportions wastes a great cast in a story that succeeds only at making Los Angeles look sociopathic, and not intentionally. Eric D. Snider finds Assassination Nation combining raucous fun with self-consciously edgy satire. In this week's feature review, Life Itself serves up a tuneless would-be opera about the majesty of human existence.